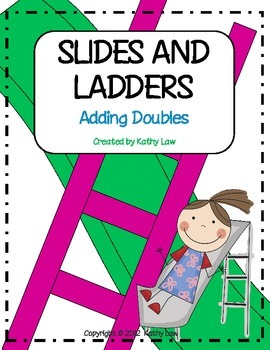 A fun way to practice adding doubles. In this game, students practice their addition skills while moving along the game board. 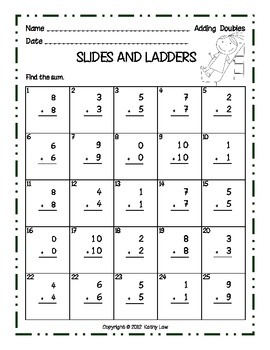 A printable is included to assess learning. 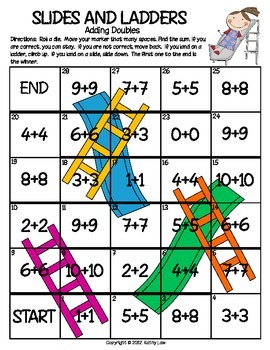 This math game can be used for math stations/centers, partner games, or small group practice. 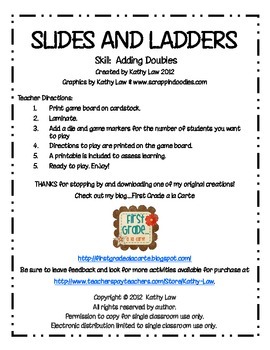 This game was created by Kathy Law for first grade, second grade, or anyone who needs extra addition practice. This game was teacher created and student tested for fun!